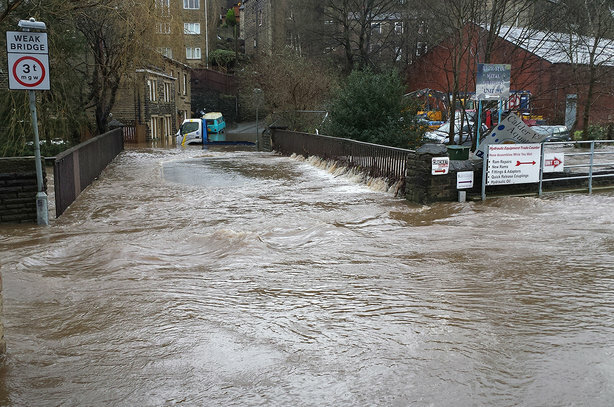 Flooding has long been a way of life for residents in the borough of Calderdale in West Yorkshire but the events of Christmas 2015 were unlike anything they had witnessed before. The devastation for this rural area, comprised largely of small mill towns such as Halifax and Hebden Bridge, at the hands of Storm Eva was huge and proved to be a monumental challenge for the council's comms team who suddenly found themselves operating in areas with no electricity, phones or Wi-Fi networks. The storm, which hit when the area had already suffered weeks of rain, flooded an area of 140 square miles and saw almost 3,000 homes and 1,600 businesses affected. Miraculously, there was no loss of life. Louise Johnson, comms manager at Calderdale Council, recalled how she and her team's preparations were enacted, at PRWeek's crisis comms conference in London this week. Calderdale, said Johnson, had to act "extremely quickly" to react to this fast moving disaster. She added: "Ours is a planned process and we have to be really, really critical about how we do this. A council is a lead agency – so we must be there. "It’s really important that people have confidence in the council. We can't tackle this without the help of the community. We need to ensure we have credibility and we need to act fast and be seen to respond well." Due to a bad flood in 2012, the council had a plan in place, but they weren’t prepared for a flood that devastated communications to such a large extent. They had to fall back on old-fashioned methods of communications such as loud hailers in the streets and leaving leaflets in community buildings. Staff wore hi-vis vests so the council would be seen to be actively engaging at all times. However, one "crisis" the council found themselves enduring was not keeping the media hordes at bay – but actually getting them there and keeping the story alive. Despite the deluge and subsequent cost, the flood waters dispersed almost as quickly as they arrived, leaving the streets covered in brown sludge – not a photo opportunity any MP would want to be part of. But no MPs would mean less chance of funding. Johnson said: "The prime minister was supposed to come, but he never turned up because the floods in York were a better photo opportunity and there was some water for him to trudge through in his wellies. [Calderdale] wasn't as good for photography. It didn’t look as dirty. Part of our problem was actually getting attention for our problem." The media team went into overdrive, finding new angles for stories, working up events, writing stories for anniversaries of the floods and making use of social media. The result? "We got £60m worth of funding, so all that PR was worth it," said Johnson.